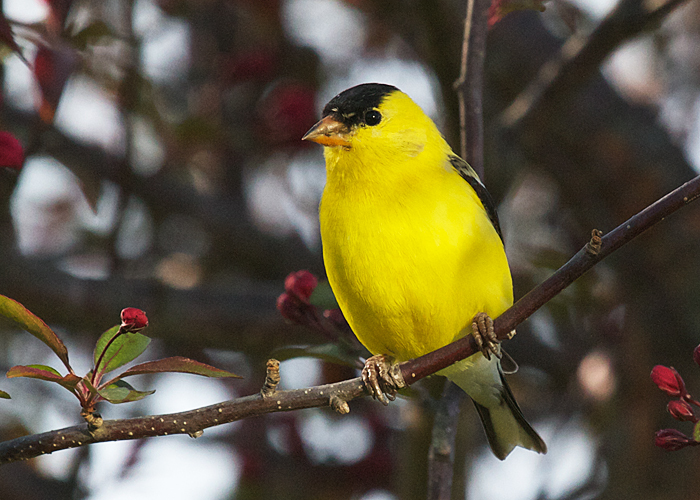 American goldfinches here are just about finished with their semiannual molt. This male has replaced all but two winter-drab feathers on his forehead with shiny new black ones. Tomorrow maybe his spring finery will be complete, and the cherry buds will open.